When you decide you are going to go on a camping trip, you should decide the reason for it. Is it a chance for you to relax? Do you want to spend time with your family? It could be all of these things and more. Whatever the reason, bringing and using electronics on your trip should be discussed beforehand. Your kids are almost attached at the hip with their electronic devices. It is not uncommon to see a phone in the hands of children everywhere. In fact, some adults could not survive without their phones or tablets. With so many electronic devices nowadays, your kids need a break. It makes you think if you should let your kids bring electronics with them camping. Camping is a time for you to reconnect with nature. It is a chance for you to spend quality with your family, without the distractions of normal, everyday life, including electronics. Think about how much time your kids spend looking at their phones, gaming consoles, TV’s, laptops, and all other electronics in one single day. Chances are the numbers are high. During your time at the campsite, it is a way to get away from those devices and enjoy your kid’s company. At first, they may fuss, but in the end they will be grateful for the memories made with you. As a safety measure, though, consider allowing a cell phone on the camping trip. It is also nice to have a way to capture those special moments together outdoors. Snap a few pictures with your kids or the scenery, but make sure you put the phone away and take deep breathes of the air. Take your shoes off and let your feet sink into the ground. That is the way camping should be experienced. Going on a camping trip with your family is not only an exciting activity but also a memorable event. However, sleeping outdoors with little kids and teenagers is not always a walk in the park. You are likely to hear the dreaded phrase “I’m bored” at some point during the trip. For this reason, it is important to incorporate some fun activities that will not only keep the boredom away but also render the entire expedition more appealing. Below are some stimulating fun games you can play with kids while camping. At the beginning of your camping adventure, provide each camper with a sheet of red-dot stickers. Subsequently, choose a word that’s likely to be mentioned by everyone in the camp such as “camping” or “tent” and make it forbidden for like an hour or so. Every time a person is heard uttering the prohibited word, a red dot should be placed on them to appear like a mosquito bite. When the game culminates, the camper with the biggest number of mosquito bites loses and should be made to remove the red stickers from the other campers. 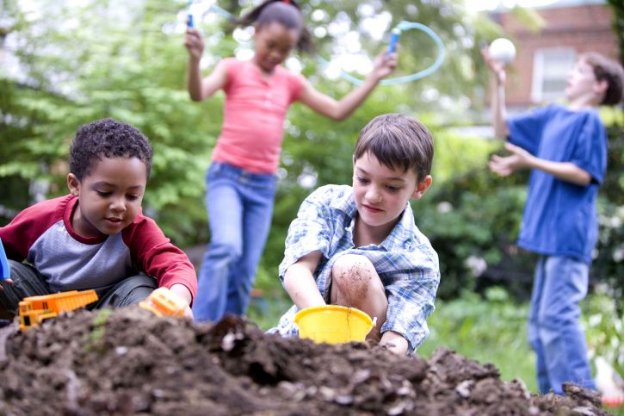 Although you’ll be spending a lot of time outdoors, often you’ll have downtime where the kids are tuckered out or need some chill, low-energy time. A board game (ideas at Get Games Go) might be the perfect solution to keep them entertained. You can either set up on the picnic table at your campsite, or if it’s a rainy day, you can just use the floor of the tent as a playing area. 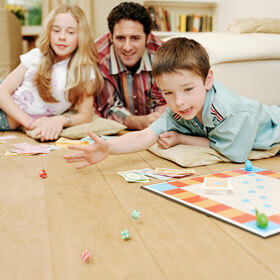 Board games like Scrabble and Parcheesi are such a great way to build family memories. This game provides an excellent opportunity to explore the campsite while still eliminating boredom from the adventure. Make a list of camping gears and hide them all around the campsite. Subsequently, hand the list to your kids and let them find those items. Your list can also include various natural objects such as red leaves, a piece of bark or an acorn. Relay races are often included in kid’s party games. During camping, make your children jump inside their sleeping bags, get on the ground and crawl worm-style towards a finish line. The adults can contribute by cheering the kids on as they race. Camping games provide families with an excellent opportunity to kill boredom when camping. They also allow family members to bond and reconnect with each other. 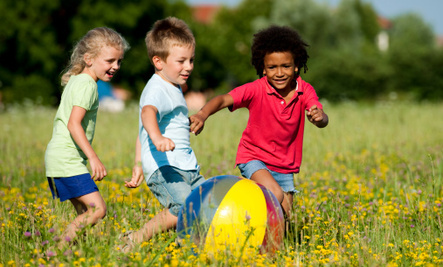 Through camping games, kids get to not only learn new skills but also enjoy friendly competition. Today’s economic conditions are too demanding; this has led to people focusing more on how they can work more to earn more. However, the lifestyle demands that “work with no play make John a dull boy,” it is for this reason, that families have a sort for extra activities such as camping, which can make them enjoy and have fun together. Kids can be stressful when you are camping because; they get cold quickly, this is obvious because little bodies lose heat faster. Kids get hotter rapidly under hot climate conditions. Children get bored quickly, especially if the activities involved will not favor them. Kids get hungry so fast, they cannot tolerate hunger and this call for high energy snacks and finally, kids are prone to getting involved in minor accidents while at the camp. The above is so of the things that can make your kids easily bored. How to prevent kids from getting dull camping? Bring along with them their favorite toys or games; this will make them feel comfortable. Most kids like to do their activities together with their toys. Sing a campfire song; by getting your kids to participate in singing classic campfire tunes, brings excitement to them, also you may let your kid led a song this way they feel special and appreciated. Go for short hikes; look for adventure close to the camping area, kids love to explore and associate with new environments. You will be shocked that kids will identify the context relating to what they learn in schools. It improves performance. Make stories as you stare the clouds; it is very memorable just staring up the clouds with your kids, ask them what they can see, and you will be amazed at their imagination. Make fossils; kids love to play with mud or water, make some wet clay and fossilize the unique things, you can let your kids carry them home, this way you will create a positive attitude towards camping. Above all, never forget to carry high energy snacks for your kid. Use these tips and make your family camping experience wonderful for everybody in the family. 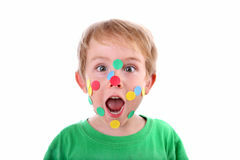 For general info on preventing boredom for your kids, have a look at this article. Our most major concern in today’s high-tech world as camping parents is to pass along our love of out-of-doors to our kids when they reach a certain age. 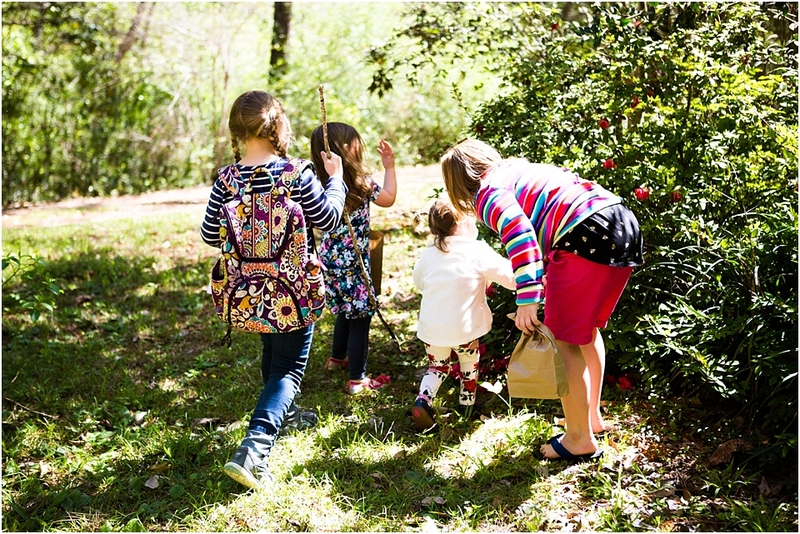 When it comes to teaching camping skills to children, age appropriate version is important. Most of the kids naturally develop desires for camping at the age of ten so this isn’t a difficult task. The following are most of the camping skills that will keep your kids coming back for more. Knot tying is a skill but it can also be as much as an art. It requires much patience and focus which can mostly be tricky for kids with little attention and wandering minds. It is important to show them the way they can practically use each knot you teach them. When your kids reach a certain age you should let them know that a shelter is the first thing to consider during camping. Even if you don’t need a shelter for survival, it’s a pretty cool thing to do and its lot of fun to build it together with your kids. When your kids reach a certain age, it’s important to let them be aware of their surroundings. Teaching them about the birds and animals tracks is another way of keeping your kids entertained during camping. Depending on the age of your camping kids, you might not want them to be playing with lighter fluids and matches just yet. This doesn’t mean they can’t give a hand in making campfire. If your kids are older you can assist them in cutting small brunches with a saw.